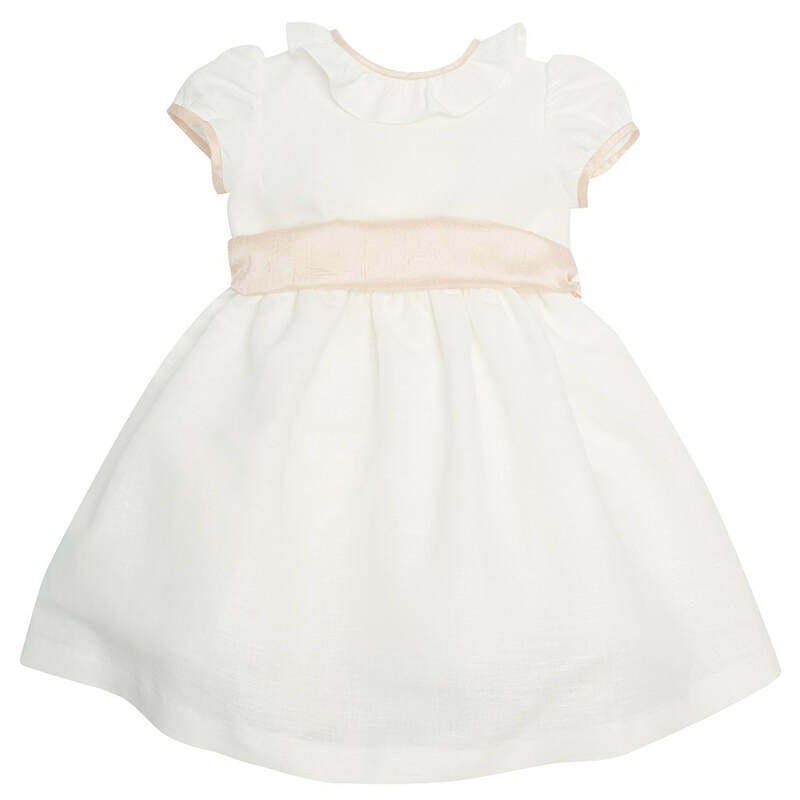 Full-shaped celebration dress made from a very soft to the touch mix of linen and cotton. Short puffed sleeved, and finished with a frill collar. Contrasting beautiful pink trims on neckline and balloon shape sleeves as well as an elegant silk dupion sash that finishes in a bow at the waist and matches the front. The back of the dress features three covered buttons and a belt loop to keep the sash in place. The over-the-knee length skirt comes with petticoats underneath to provide a voluminous and sophisticated shape.